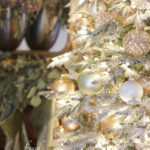 Featuring mouth-blown glass, faux crystals, beading, glitter, and hand-painting, this is old-world style at its very best. 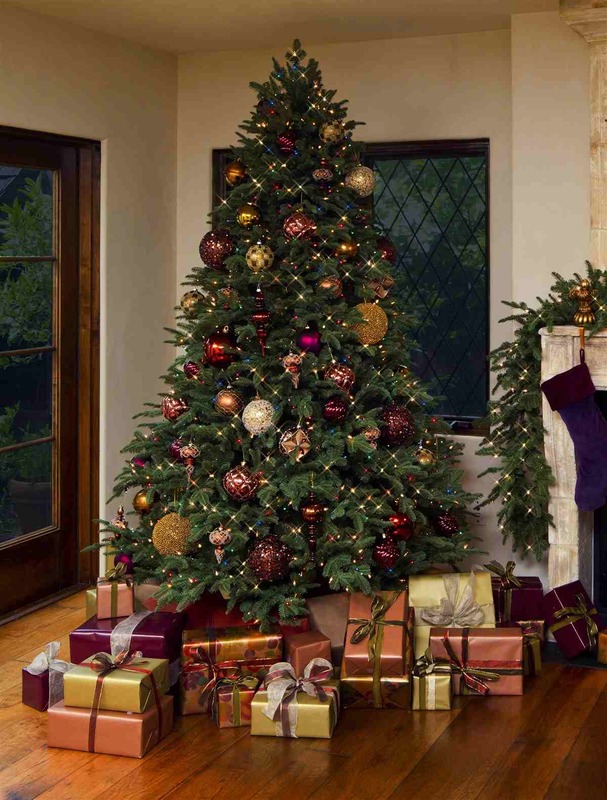 Enrich your fireside glow with burgundy and gold crosses, figurines, balls, and finials, and find yourself lost for hours taking in the many details finely painted onto each ornament. 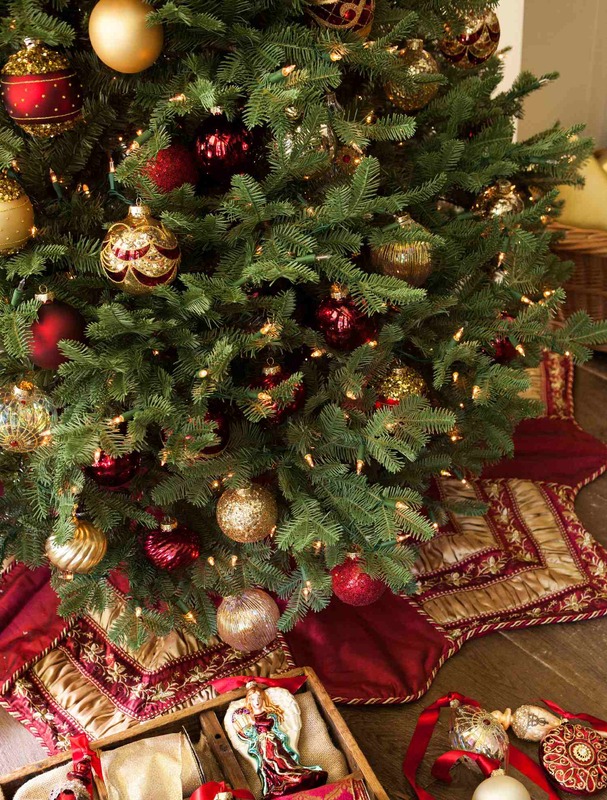 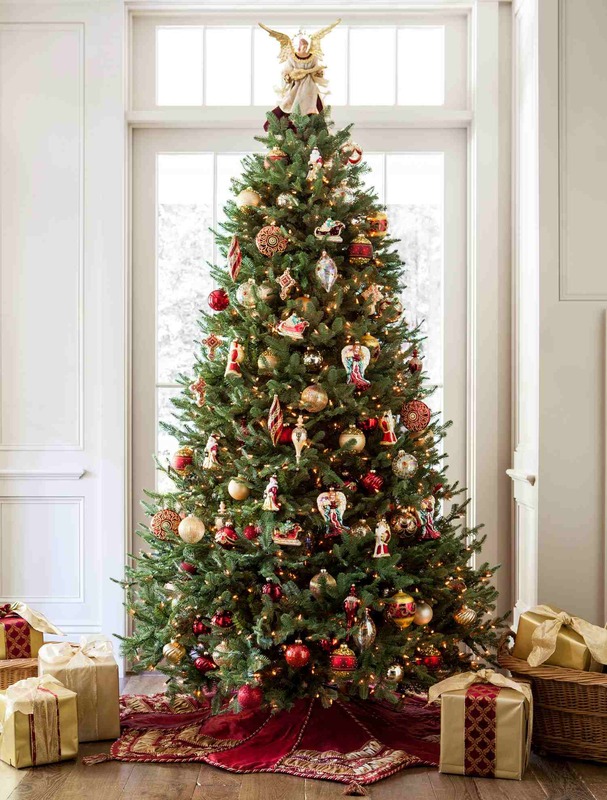 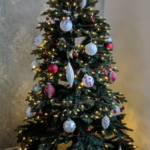 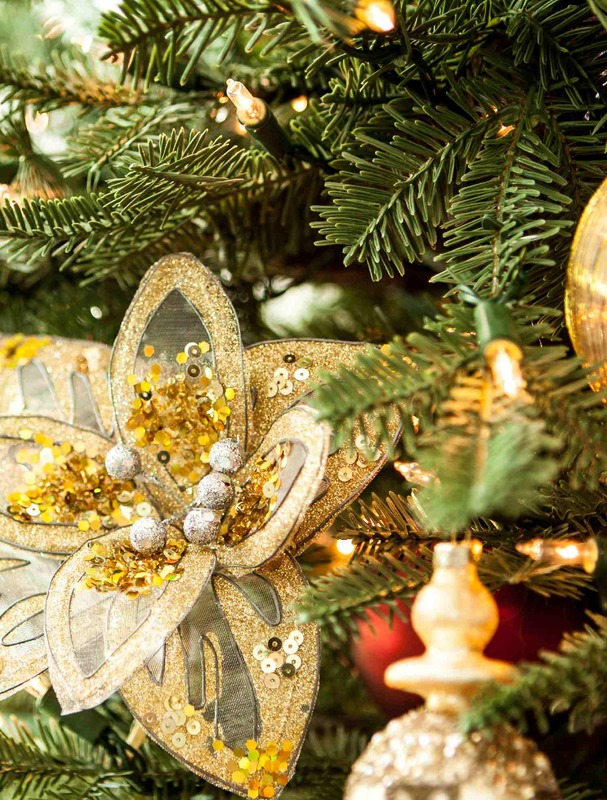 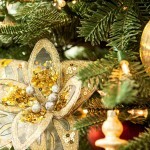 For a vintage Christmas tree decorating theme, crown your classic Christmas tree with an angel tree topper, or ensconce rich pine needles with gold ribbon. 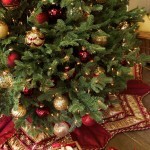 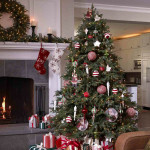 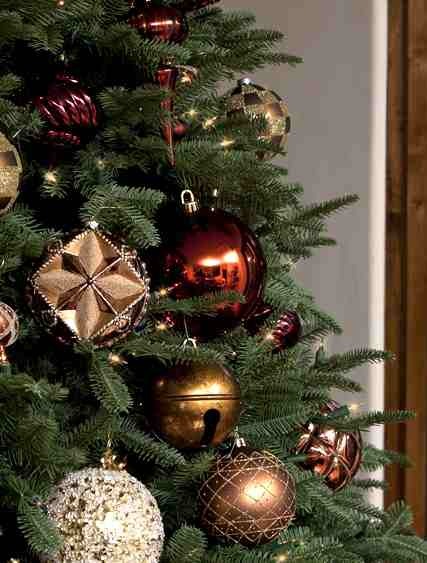 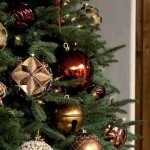 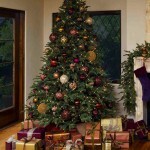 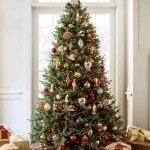 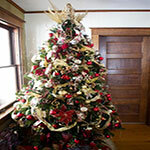 With the royal touch of the Balsam Fir™ and Noel Ornament set, decorating a Christmas tree has never been so majestic.